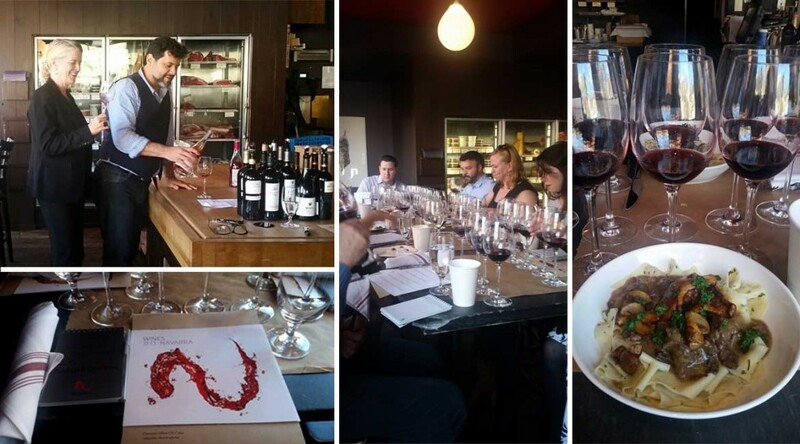 A perfect autumn day in Boston’s beautiful South End was the backdrop for Wines of Navarra’s tasting and lunch for a select group of wine industry trade. Fourteen of Navarra’s finest wines were paired beautifully with a three course menu created by our host restaurant The Butcher Shop. “The wines are ideal for restaurants, on the wine list and also as wine by the glass options, as they offer great value to the diners and to the restaurant alike. I really enjoyed them – they have good balance and are well structured.”—Susan Holaday, Foodservice East Magazine. The guests were curious and loved learning about what Navarra has to offer.